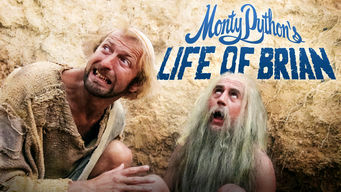 How to watch Monty Python's Life of Brian (1979) on Netflix Argentina! Sorry, Monty Python's Life of Brian is not available on Argentine Netflix, but you can unlock it right now in Argentina and start watching! With a few simple steps you can change your Netflix region to a country like USA and start watching American Netflix, which includes Monty Python's Life of Brian. We'll keep checking Netflix Argentina for Monty Python's Life of Brian, and this page will be updated with any changes. Monty Python's Life of Brian is not available in Argentina BUT it can be unlocked and viewed! Born in a stable in Judea, Brian grows up to join a group of anti-Roman zealots, but his fate keeps getting confused with that of a certain carpenter. He just wants the Romans to go home. But somehow he finds himself sidetracked into the role of the Messiah. There is a way to watch Monty Python's Life of Brian in Argentina, even though it isn't currently available on Netflix locally. What you need is a system that lets you change your Netflix country. With a few simple steps you can be watching Monty Python's Life of Brian and thousands of other titles! Watch "Monty Python's Life of Brian"